﻿In 2006 Richard Mille unveiled what was at the time the world’s lightest mechanical wristwatch, the RM009 Felipe Massa which weighs a mere 28 g sans strap (this was superceded by the 20 g RM027 Rafael Nadal last year). The weight of RM009 was achieved with the use of novel materials: AluSic (aluminium silicon carbide) for the case and Al-Li (aluminium lithium alloy) for the movement plate and bridges. This results in a watch that causes severe cognitive dissonance. 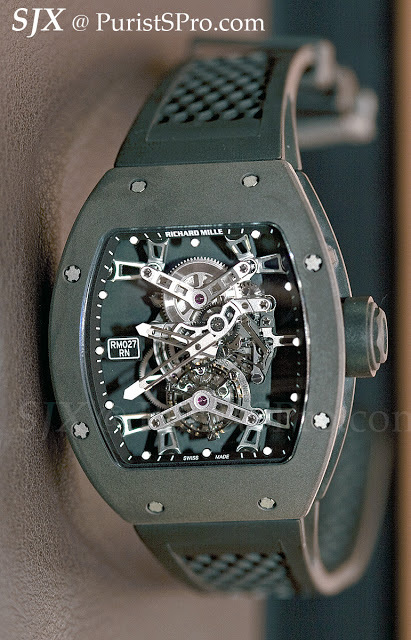 Make no mistake, the RM009 looks heavy. The case has a deeply textured sandblasted finish, this is the raw state of Alusic as it emerges from casting because the material cannot be finished. Alusic looks metallic or even stone-like. But pick it up and the sensation of its weight conflicts with its appearance. It is a brilliant product for the RM009 combines not only the aesthetics and texture of a watch, but its feel in the hand and on the wrist – Richard Mille is of course a master of that. 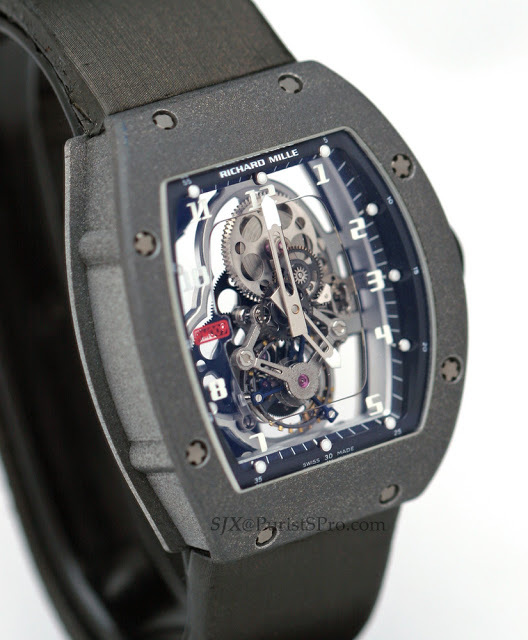 Last year Richard Mille took that idea even further with the RM027 made for Rafael Nadal. At under 20 g including the strap, the RM027 is possibly the lighest wristwatch in history. 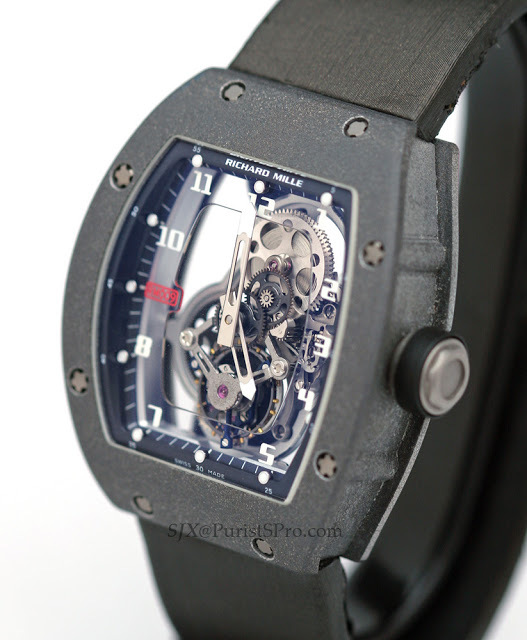 Unlike the RM009, however, the RM027 looks light. The carbon composite case, which is likely some sort of plastic, looks lightweight. There is no unnerving sensation of weightlessness that accompanies the first encounter with the RM009. In the RM027 it is quite expected. And for the RM009 there is the impressive story of how the Alusic case needs to be cast in a centrifuge and then painstakingly machined, all at enormous cost. 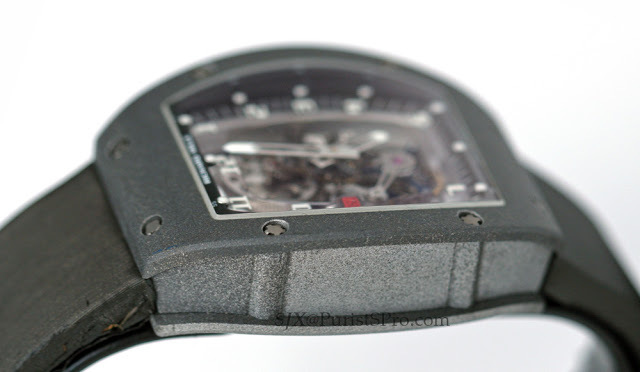 In contrast the RM027 just seems to be the result of shrewed use of various plastics. 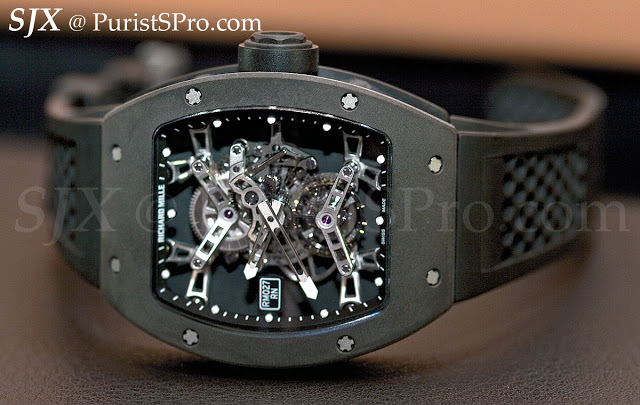 Going back to Richard Mille’s concept of perceived value – it is easier to perceive value in the RM009 than the RM027. 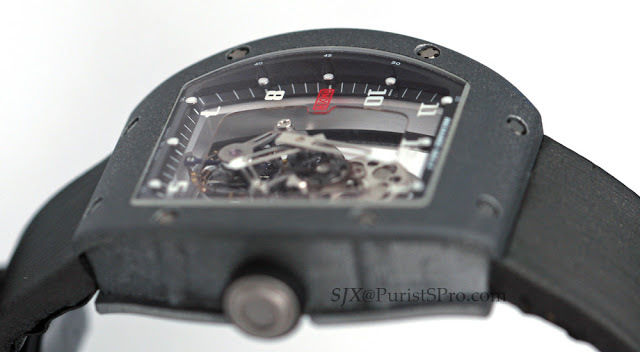 Thus the RM009 may be heavier, but it is infinitely cooler (there is no other adjective to describe it) than the RM027. 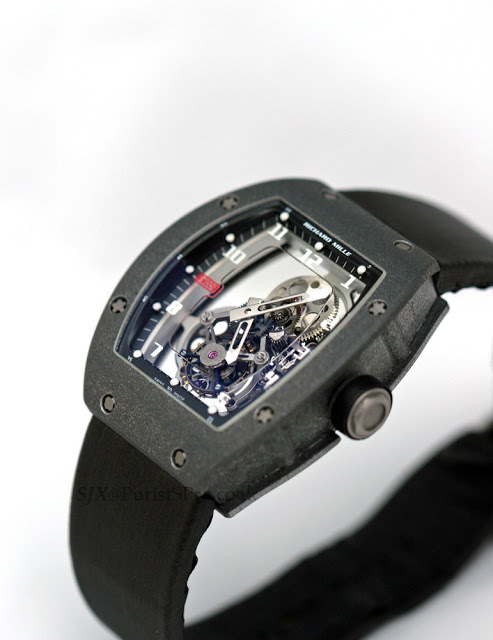 – SJX Richard Mille also recently launched at RM035 Rafael Nadal, a manually wound ultra-light watch. You can read about that here.